Before reading, click here and ‘Like’ CreationSwap.com. 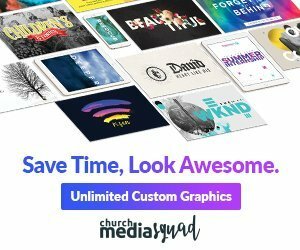 If you’re into downloading thousands of high quality free church graphics, logos, photos and more, visit CreationSwap.com. Color impacts. 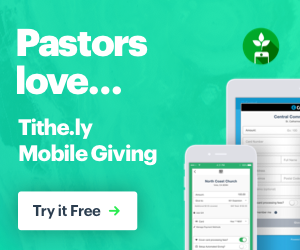 However, in all my experience with worship and church services, I see so many occasions where the importance of color theory is quickly brushed aside–most of the time unintentionally. 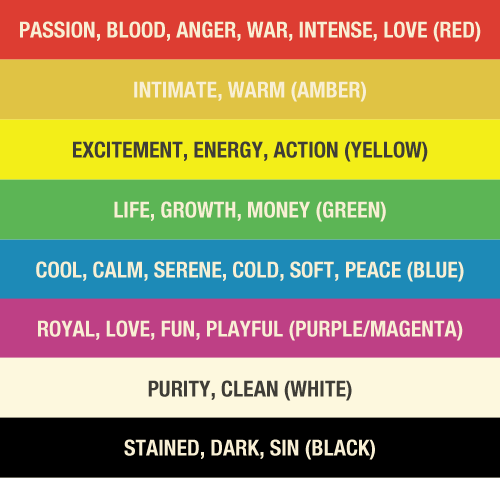 One word describes the impact of color theory in worship: emotion. What does that color make you feel? What does this color make you think? Why? Step back and look at the secular world: there’s a reason companies use certain colors in marketing and advertisements. We have to understand its power and how using color affects the people we are leading into worship. Less is more. In churches I visit, I see so many stages and platforms being blasted by seven different colors of light, all at the same time, for the entire service. But what color comes to mind when you read ‘UPS’? A can of Coke? Look at all the rental car companies. They each have a distinct color that sets their brand apart and they carefully choose their limited color schemes. Each color has a certain connotation to it, and it’s no different in worship lighting. In fact, I’d be as bold to say that color theory in worship is just as important as what the worship leader or pastor is saying. What are your colors and your use of color theory saying about what’s happening in your service? What are your colors you use saying about what’s happening in your service? Is every color appropriate for a worship service? Blues. I know of a pastor that doesn’t like to use blue lighting during the service because it makes him feel cold. Blue is a ‘cool’ color so technically he is correct, but is that a reason to not use it at all? No! It all depends on the context. I love using a deep, saturated blue on a stage to communicate the cold, yet calm night Christ was born. Reds. Red lighting across the entire room can be very intense and even uncomfortable. Within the context of a Good Friday service, I think that’s a great representation of the passion of Christ. Ambers/Yellows. Amber is so great because it can show excitement and energy as well as calmness and intimacy. If you have a conventional stage light with an amber gel on at 100%, it’s going to be closer to a yellow, depending on the color of amber. When you start dimming that light down, it shifts warmer and warmer–closer to the color from a candle. I love using a warm amber wash as down light on stage during a response song or communion. It communicates that this time is a chance for you and God to do business. I think of being in a room all alone with my prayers–with a sole candle next to me. On the flip side, on Easter Sunday morning when we are celebrating, that amber light gets turned on fully and it’s a bright reminder of the light of Christ! Greens. I personally don’t use green lighting alone during worship. I typically see neon/bright green that makes me think of aliens, the Matrix, money, and other things that don’t surround worship. (Thank you, Culture.) I will use light green or green with blue, but never only green. Be careful with green. You can use any colors in worship as long as you’re intentional about color theory. I always start with at least those three colors because it covers a large gamut of emotions. Plus, those colors mix nicely. If you turn on your blue and red lights you get a purple mix on stage. When you turn on your red and amber lights, you get orange. 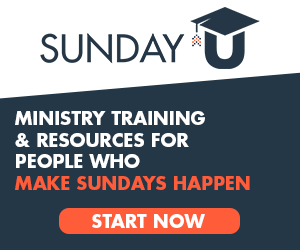 Once you have a grasp on how powerful color theory is for worship, it’s time to put that in action with your media/visuals on your screens or walls. If you’re projecting a blue night sky with a manger during Christmas Eve, use blue and deep purple lighting. If you’re using a yellow sunburst image for Easter morning, use yellow and amber lighting. It’s that simple. Even though color theory simple, I’m continually amazed how many worship services are still a mish-mash of the lighting person and media person doing their own thing. It comes down to the media and lighting people talking to each other during the week and being intentional about matching their visual worship tools. If your team isn’t coordinating their work during the week, take this first step before upgrading or adding lighting elements. Email and talk during the week. Talk to the worship leader and pastor about the emotions/atmosphere they want to create during the service. Be intentional with color theory. Be intentional with this gift God has given us. Camron Ware is a producer of sacred still media and the founder of Visual Worshiper, a design group that specializes in lighting and projection design for churches and events with a passion for creating engaging environments. As usual, you are spot on, Camron! It’s difficult to get non-tech church leaders to understand the importance of basics like this. Color theory is one of those things that isn’t noticed until it’s done really really well. There are countless color studies that marketers and designers use to evoke the intended response from the consumer. God created these colors and has a purpose for them!